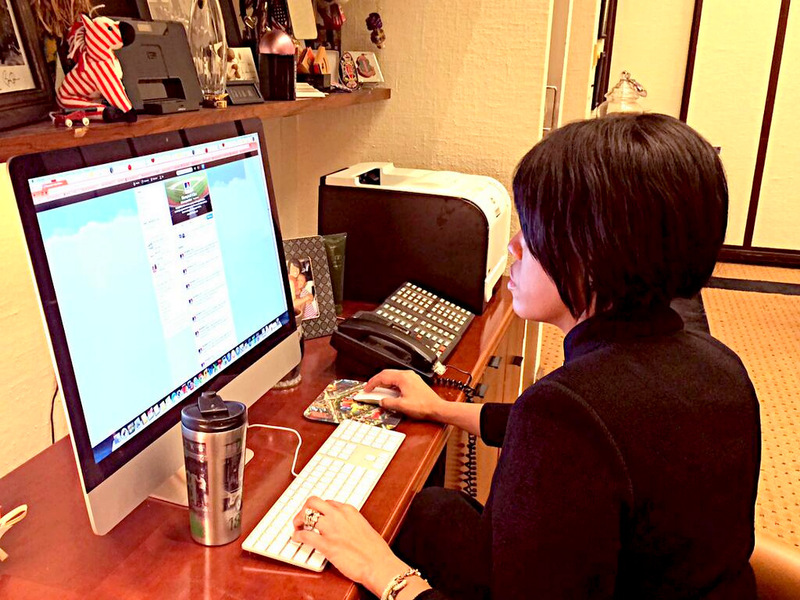 Above: Mayor Stephanie Rawlings-Blake, preparing to plunge today into the shark tank of Twitter for a live #MoneyballChat about data in city government. Civic-minded members of Baltimore’s Twitter-sphere got excited about a rare opportunity today – a live chat on Twitter with Mayor Stephanie Rawlings-Blake on the use of data to improve city government. But ignoring queries about the lack of city audits and other data-related problems, the mayor addressed only a couple of questions that weren’t posed either by the event’s organizers or by people from policy or public relations firms outside of the city. City departmental audits not being audited for decades; the recent dumping of the Citi-Stat director; the fact that the old head of the Mayor’s Office of Information Technology (who departed under a cloud) left behind a half-finished upgrade of the city government website that is being scrapped and the project re-bid. Could the mayor possibly be planning to address these long festering problems in true democratic web-centric fashion in front of, potentially, anyone in the world with a Twitter account? The premise pretty much opened her up to questions about every broken thing in city government. That’s because data are numbers – and embarrassingly grim numbers can be attached to just about any city problem, such as the number of murdered residents so far this year. But their hard questions, whether asked snarky or straight, were ignored – including many people who asked about the lack of auditing. “How can Baltimore make intelligent decisions without financial statements or audits of most city departments?” said Dave Troy, one of numerous people who raised that issue. “@Rebecca_Shah We’ve been budgeting for outcomes for 4 years, requires agencies to justify funding w/results,” the mayor told her. Another question she answered was directed at @MDRC_News, another out-of-town policy group based in New York City and Oakland, Calif.
“Outcome Budgeting has enhanced & protected funding for svcs that WORK. Visit http://balancedbudget.baltimorecity.gov to see how,” Rawlings-Blake answered. “How do city agencies use the data provided on @OpenBaltimore to coordinate their budget priorities and decisions?” was a local question posed by Andrew Zaleski of the tech-news website Technically Baltimore. If readers find the bland, bureaucratic answers delivered in Twitter snippets today unsatisfying, take heart. Wit, passion and interesting information and ideas came through in the questions and comments by the local Tweeters, unanswered though they were.